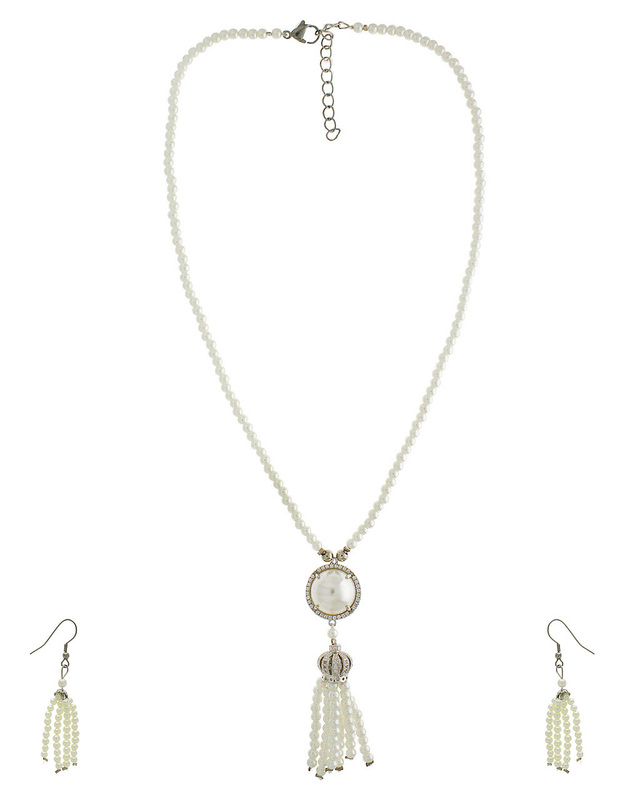 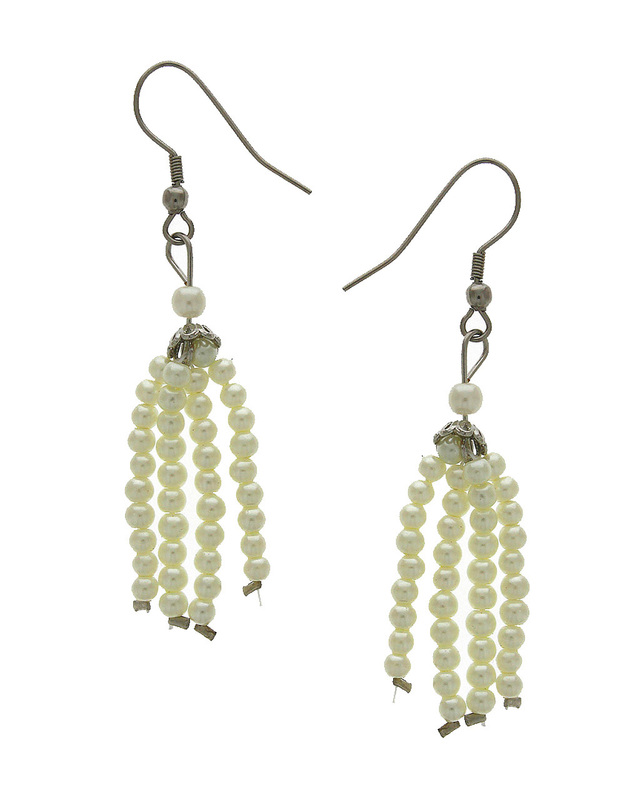 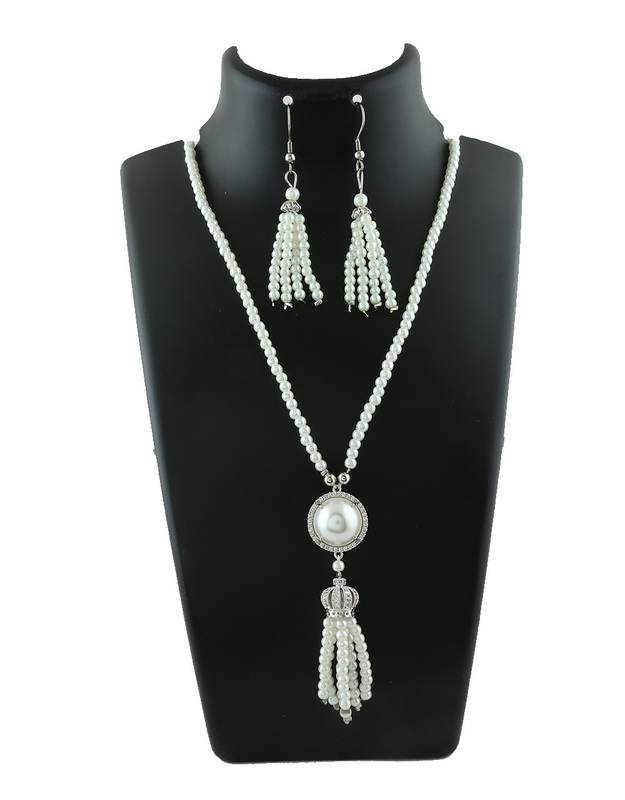 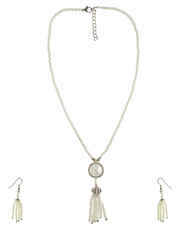 Add extra resplendence to your party look by clubbing this white colored adorable necklace set. It is encrusted with sparkling stones & fashioned from Korean metal. 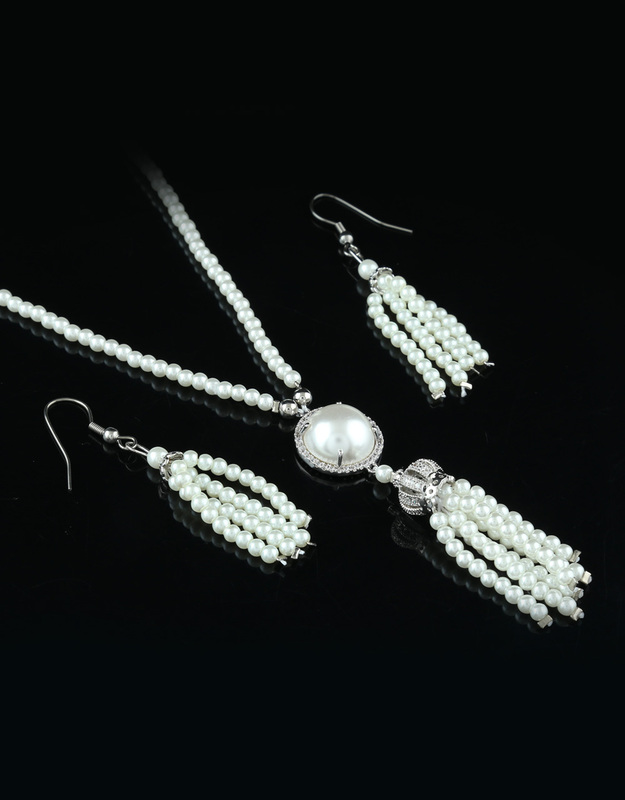 This dazzling necklace set will fetch you endless compliments from onlookers.